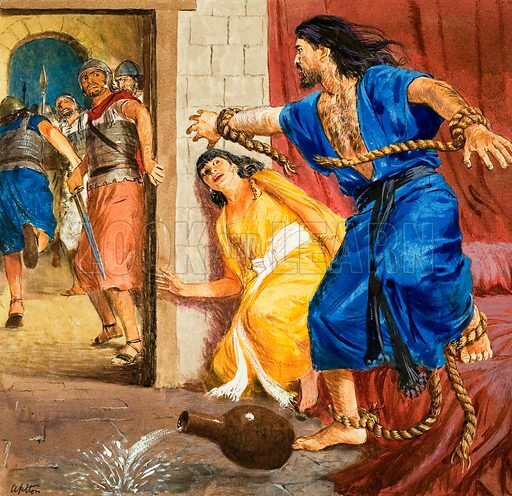 The Story of Samson retold, taken from The Bible, The Book of Judges, Chapters 14-16. Samson's Great Strength. Original artwork for illustration on p9 of Treasure issue no 176. Lent for scanning by The Gallery of Illustration.